Delux Structural Works, Sdn. Bhd. Delux structural works sdn bhd is a proffesional designer and manufacturer of polycarbonate contemporry roofing with more then 10 years experience. With our profeissional engineers and sales personnel. we are able to offer custom- made design that is able to suit different client’s needs and provide them with up market quality products. Over the years, we have earned surpassed reputation in the market as we aim to be a household name in the field of polycarbonate roofing system. in order to meet up with the market demand. 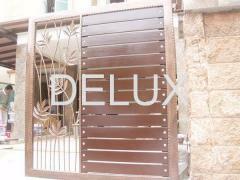 Delux has incorporated another company, Delux stainless steel sdn bhd that specialize in wrought iron and stainless steel products, such as main gate, grille, fencing and etc. we have come along way since it was established and we strive our best right from the inception of the company towards the goal of becoming a major market player of contemporary roofing and also in stainless steel and wrought iron products. it is our corporate mission to maintain a leading position in these two industries. Our strategy is to build the highest standard of quality customer service and customer satisfaction to enhance our existing reputation established over the years. we instantly put in our effort in products research and development to meet market standard and to upgrade constantly in order to cater for customer’s rapidly changing needs. 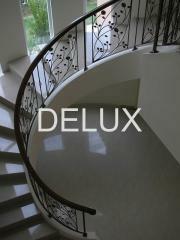 A complete range of products and services Delux Structural Works, Sdn. 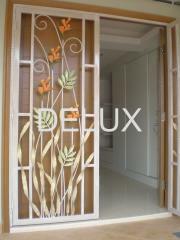 Bhd.. All information about Delux Structural Works, Sdn. Bhd. in Bandar Baru Salak Tinggi (Malaysia). © Delux Structural Works, Sdn. Bhd.